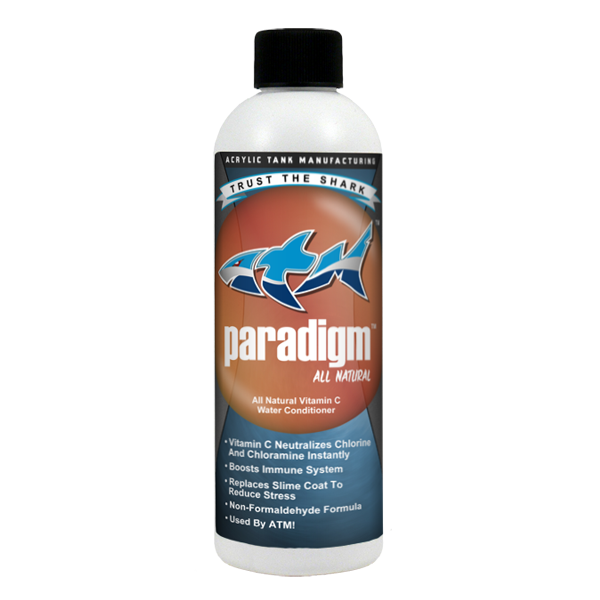 The only all natural water conditioner on the market is Paradigm. As we move into the future of aquarium keeping, a premium is set on all natural solutions. 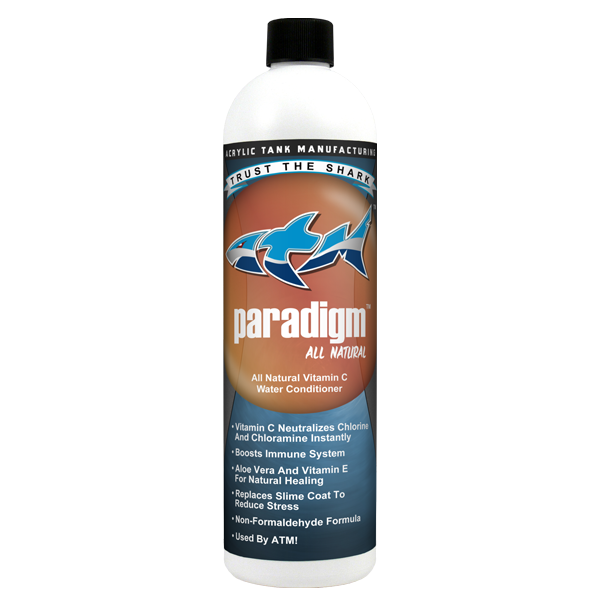 ATM’s Paradigm is an innovation in dechlorinating, utilizing Vitamin C for detoxifying tap water. Vitamin C boosts immune system while aloe vera promotes natural healing. Paradigm also helps ATM Colony nitrifying bacteria stick faster to filtration media. Water conditioning is one of the remedial maintenance functions of any aquarium, therefore it is best to keep it as simple as possible. Strong industrial chemicals and reducing agents can only complicate the process by affecting the performance of test kits and, in extreme cases, depleting oxygen. The beauty of water conditioning by natural means is that it carries with it not risk, but additional benefit. Paradigm becomes invaluable to transporting fish due to the immune system boosting powers of Vitamin C. As fish begin to stress it is important to reinforce their defense wherever and whenever possible. 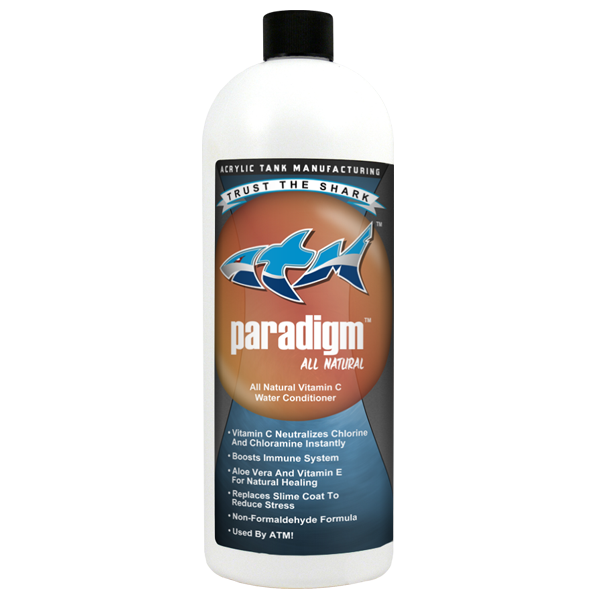 Pioneered by Global Marine Imports in Australia, Paradigm is used as a supplement to drastically reduce losses in shipping and inspire fish to eat almost immediately. And that is the power of nature that chemicals cannot replicate.